We are pleased to announce we’ve secured a significant sporting victory after parkrun UK chose Muckle as its sole provider of legal services. 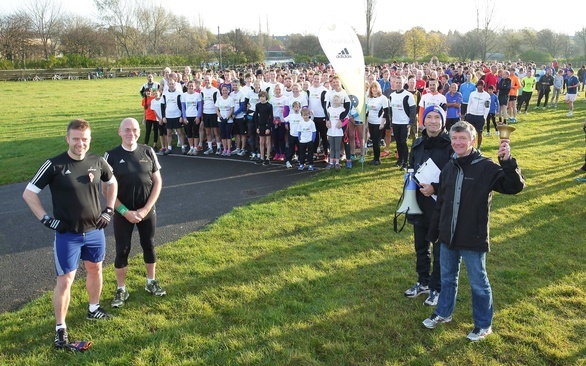 parkrun UK is a not-for-profit organisation which organises free, weekly, 5k and 2k timed runs. Events are open to everyone, irrespective of their age or ability. Since its inception in 2004, there have been over 36,000 events involving 2,805 clubs with nearly 600,000 runners taking part and 5.5 million run performances. Tom Williams, managing director of parkrun UK, said: “Last summer, I delivered a talk at Muckle as part of their workplace health project and spent time with them discussing some of the challenges we face as one of the world’s largest series of timed runs. “I’m delighted to welcome Muckle into the parkrun UK family and over the coming months and years we will be working together on areas such as child safeguarding, first aid, medical policies, commercial relationships, volunteer support and development, governance and staffing structure. The achievement comes after the firm won the contract in September to advise England Athletics and was also appointed to advise the Caribbean Premier League Ltd on all aspects of this year’s Caribbean Twenty 20 Cricket Tournament. Last year, Muckle started its workplace running club; ‘Muckle Runners.’ The group organises both Muckle-led and externally organised events which Muckle Runners take part in. Nearly 50 members of the Muckle Runners enjoyed running at last week’s parkrun on Newcastle Town Moor which Tom Williams attended. For more information on how we can help you or your business please call John Devine on 0191 211 7905.